The Western world has been at war in the Middle East for a long time. The struggle, lasting longer than the 20th century World Wars has left us fatigued and weary of further conflict. Yet, the proverbial ‘war on terror’ is far from over. While the eyes of the West were focused on Asia-minor, the problem of violent Islamic fundamentalism was festering in Africa. Only recently has this long-growing issue reared its ugly head with the Algerian gas plant attacks and a shocking French intervention in Mali. While clearly sub-Saharan Africa deserves attention, nowhere in Africa is the rise of terrorism more important than in the Horn region. 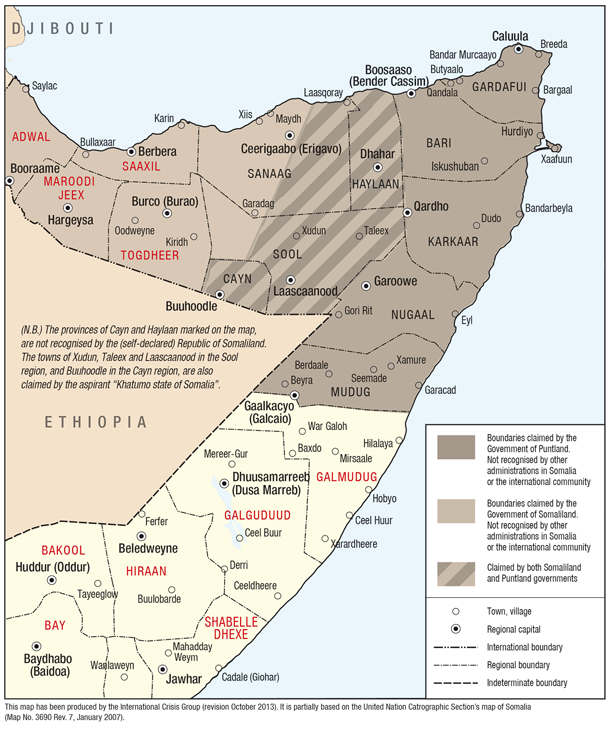 Decades of an anarchic lack of central government in Somalia coupled with its close proximity to the Middle East has left the Horn of Africa a thriving bastion of violent Islamic fundamentalism. Canada, and the West in general, should begin a phased shift in counter-terrorism policy towards dealing with groups like Al-Shabaab in Somalia. If the international community continues to ignore the problem, the violence present in the region today could continue to destabilize this strategically crucial area and, in the long run, pose a direct threat to the safety of Canadians at home. De-emphasizing the Middle East in counter terrorism and security policy circles seems, now more than ever, unlikely. The recent explosion of ISIS in Iraq has dragged the United States back into the country, with the recent authorization of airstrikes against the violent Sunni group. The panic is understandable, as we may watch ten years of fighting in the region become irrelevant in a few short months as ISIS continues to establish itself as the dominant military force in Iraq. Moreover, we have also recently witnessed yet another bloody war between Israel and the terrorist group Hamas. With Hamas continuing its campaign against civilians, and with the discovery of new tunnels leading into Israel, the Palestinian-Israeli conflict shows no signs of ending soon. Al-Shabaab fighters Somalia. Courtesy of the Maritime Security Review. Despite these grave concerns in the Middle East, we must turn our attention to the long-festering problem of terrorism in the Horn of Africa. Apart from the human suffering and loss of life that comes with fundamentalist Islamic terrorism, the presence of terrorism in the Horn of Africa has wider reaching geopolitical implications. Terrorism originating within the Horn of Africa has a regionally destabilizing effect and could jeopardize the long term prosperity of the already politically fragile area. In Somalia, the terror group Al-Shabaab continues to use the failed state as a stronghold from which to continue its goal of establishing a new Islamic caliphate in East Africa. This results in the mass suffering of civilians who fall under the group’s jurisdiction. Through Al-Shabaab’s so-called purification of Islamic society, those who do not adhere to the groups traditional values fall victim to brutal punishments which include amputation and beheading. From its stronghold in Somalia, Al-Shabaab is also able to conduct terror attacks in neighbouring countries. The recent Westgate Mall shooting in Nairobi Kenya is one of a long list of terror attacks carried out by the organization across East Africa. Uganda has also fallen victim to suicide bombings carried out by Al-Shabaab, most notably against a crowd of people watching a soccer match. 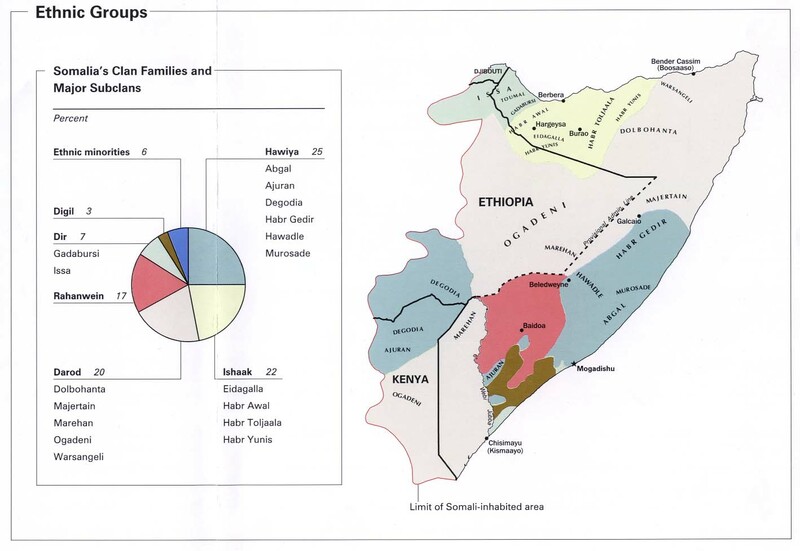 Finally, the group has also targeted Ethiopia, mainly due to its invasion of Somalia in 2006 when it ousted Al-Shabaabs parent group the UIC. Through its ongoing battles with other factions within Somalia, Al-Shabaab also recruits a significant number of international fighters. This includes Canadians who travel to Somalia to wage Jihad against – from their perspective – enemies of Islam. While the phenomenon of foreign fighters is objectively negative in and of itself, it poses a grim threat to Canadians at home. Canada’s premier intelligence service - CSIS - warns that battle-hardened foreign fighters who return to Canada could carry out devastating terror attacks and radicalize their fellow Canadians. Another instance of the threat terrorism poses in the Horn of Africa is the ongoing situation in Sudan. There is a long history of Islamic fundamentalism in Sudan; it was even Osama Bin Laden’s last stop before he re-located to Afghanistan. Taking advantage of the civil war within the country, Bin Laden and his followers called for the targeting of peacekeepers and other foreign interventionists operating to mitigate the humanitarian crisis in Darfur. The Sudanese Government has also been accused of sponsoring terrorism due to its use of Islamic militias against rebels in South Sudan. Islamic fundamentalism present in the Horn of Africa can help worsen already desperate circumstances. An important element of curbing crises such as Darfur would be mitigating the influence of violent Islamic fundamentalism in the region. With the gravity of the situation now evident, what actions could we take if we were to switch our counter-terror emphasis from the Middle East to the Horn of Africa? First, some clarification is in order regarding the word ‘emphases’. It should be noted that the United States has spent a significant amount of money and effort in an attempt to combat terrorism in the Horn. There is a considerable American garrison in Djibouti, with millions of dollars in aid going towards Ethiopia whom the U.S. considers a strong partner in the ‘war on terror’. This is evidence of effort, but what is lacking – and what is meant by emphasis - is nuanced thinking on how to effectively curb the rise of terrorism in the Horn of Africa. Current counter terror efforts in the Horn of Africa by the U.S. and its partners in the region are simply more of the same of what has been conducted in the Middle East. Examples include, In Ethiopia, the scorched earth tactics targeting the local Oromo tribe. This has created what is now itself considered a humanitarian crisis. Drone strikes within Somalia are also a popular yet damaging strategy that fails to seriously diminish Al-Shabaab’s strength. While it has its benefits, drone strikes can also undermine Somalia’s fledgling Government and in some cases bolster Al-Shabaab’s mandate. Instead, more nuanced counter-terror policies specifically tailored for the Horn of Africa could be promoted. Counter-terror strategies that harm civilians are not only inhumane but exacerbate a negative situation. Western countries like Canada should apply pressure on countries like Ethiopia to conduct counterterrorism with less collateral damage. Counter-radicalization policies could be implemented to identify and disrupt the radicalization process, thus rendering more intrusive counterterrorism policies unnecessary. While poverty is not necessarily the reason terrorism occurs, development strategies that foster strong government institutions and improved infrastructure could form the centerpiece of a coherent counterterrorism strategy in the Horn of Africa. Continuing to support the African Union in Somalia while emphasizing the establishment of a strong federal government could mitigate the chaotic environment in which groups like Al-Shabaab thrive. In our effort to combat the rise of violent Islamic fundamentalism in the 21st century, we cannot neglect one region for another. As we turn our attention to the Horn of Africa, we must simultaneously re-evaluate existing counterterrorism strategies and spend considerable thought on what will and will not work in the region. At stake is the future of multiple countries and millions of people. This time, we must fight terrorism effectively.